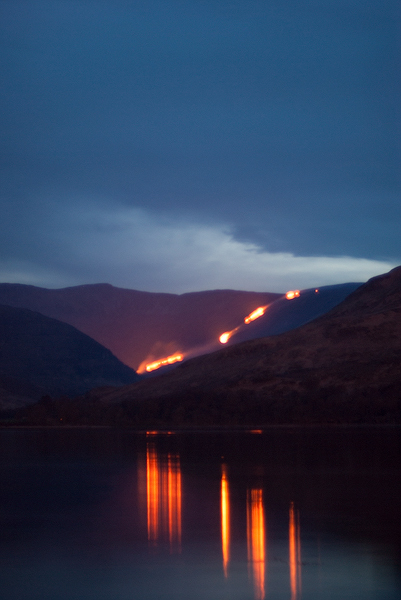 On a recent trip to the Highlands I was privileged to observe one of Scotland’s great traditions at work – heather burning. 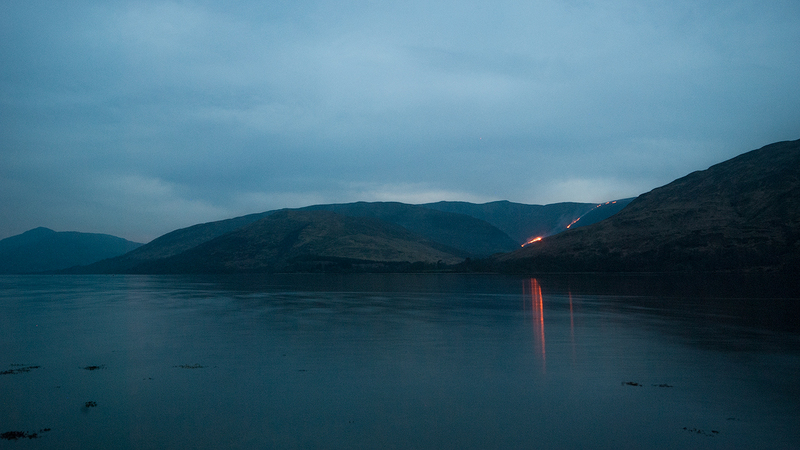 Every year local farmers (in this case next to Loch Linnhe) set light to the old heather, which burns away and allows new buds of heather to grow. This appears at night as long slowing scars on the landscape, not unlike lava flows, and is both beautiful and ethereal to behold. Nikon D80, 50mm f1.4 lens.